1. Pegasus Command may award to citizens medals or ribbions, and has adopted the medals and/or ribbions shown below along with the criteria for each by vote of the PCSC for our guild wide medals. 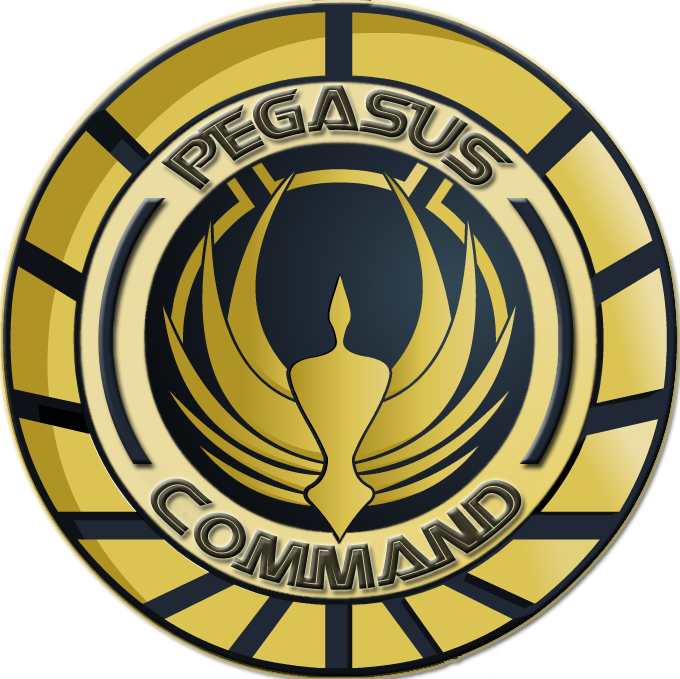 Game specific medals are under the jurisdiction of the Supreme Commander with PCSC oversight as needed. 2. The purpose of awards are to recognize exemplary service and game performance of citizens. 3. Awarded medals and ribbions may be added to a citizens profile. A citizen may list in text the name of the medal(s) and/or ribbons they have been award in their signature for our forums, but may not use the graphic for such medal. 4. When a medal or ribbion is awarded the reason for the award, the medal or ribbion name, along with name of citizen will be posted in the forums. Until the award has been posted the citizen may not display a guild medal. 5. Unauthorized display of an award is subject to discipline, all members should recognize the purpose of these medals and respect that they must be earned. 6. The medals and ribbions listed below are in order of rank, guild wide medals and ribbions being the highest, followed by game medals or ribbions. 7. From time to time Peg Com may award a medal or medals for an operation, if this is done it will be by request of the commander of the operation with approval of both the Supreme Commander and PCSC. When and if such a medal is awarded it will be listed below and assigned a rank and description for what operation it was given for. Such medals will be called Campaign Medals. 8. Medal devices are awarded automatically upon award of a medal you qualify for on. They are awarded for any medal for which no higher medal of that type is available (such as PVP the 10k medal may have a device awarded, while the for 5k medal may not.). 9. The device may be placed over the awarded medal or ribbion or displayed per our rules to the medal left. In no case can more than one device per medal be displayed. You may use a device on the second, third, and fourth award of a medal, after which the guild has no additional recognition via awards at this time.